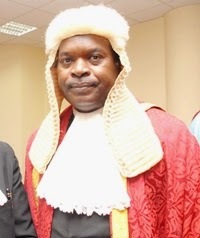 President Goodluck Jonathan on Tuesday forwarded the nomination of Justice Ishaq Bello for screening and confirmation for appointment as the Chief Judge, High Court of the Federal Capital Territory, Abuja. Bello has been occupying the position in acting capacity following the voluntary retirement of former CJ, Justice Ibrahim M. Bukar, from service on March 31. But Jonathan in his letter dated May 21 and addressed to the Senate President, David Mark, said his request was in line with Section 249 of the 1999 Constitution, which outlines the composition of a Federal High Court. It added that due to the voluntary retirement of Justice Ibrahim M. Bukar from service on March 31 as the Chief Judge of the High Court, FCT, the National Judicial Commission recommended the appointment of the most senior judge at the High Court of the FTC. tnx Mr Jonah but this is late already why can't you appoint Ayo salami instead of bello this is one of d big mistake you av been made since,all well is good byebye to aso rock.